We understand the disruptive forces faced by business and HR leaders and we therefore help them build organisational capabilities essential to the achievement of sustained organisational performance and growth. Why Hire a Human Resources Consultant? Sweeping global forces in the 21st Century are reshaping the workplace and work itself, forcing CEOs and HR leaders to confront the challenges of shifting demographics, mobility, and the need for complex new skill sets. Digital technology is disrupting business models and radically changing the workplace and the way work is done. 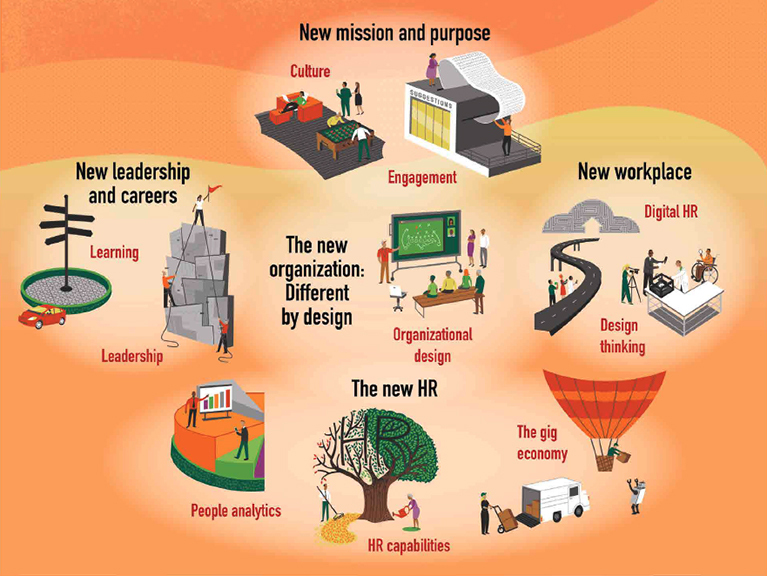 At ProVeritas Group, we understand these disruptive forces faced by business and HR leaders and we therefore work hand in hand with them to build new organisational capabilities essential to the achievement of sustained organisational performance and growth via modern human resources/capital strategies. As the pace of change accelerates, ProVeritas Group can help business and HR leaders design customised solutions for these HR trends to gain an advantage over their competitors and find themselves on the winning side in the local and global competition for talent and achieve their business goals. As companies strive to become more agile and customer-focused, organisations are shifting their structures toward interconnected, flexible teams. We can help you design and embed a new organisational model: a network of teams in which you build and empower teams to work on specific business challenges. ProVeritas Group helps organisations align their resources, systems & processes, leadership, culture, people for agility and sustainable growth. Most executives report that their companies are not ready to meet leadership needs and that a more structured and scientific approach is required to identify, assess and develop leaders as early as possible in their careers. We help organisations develop leadership capabilities among critical individuals and teams, often starting with the right talent selection processes. Culture is a business issue, not merely a HR issue. It can determine success or failure in times of change and during strategy implementation. Culture describes “the way we do things around here”, while engagement describes “how people feel about the way things work around here”. ProVeritas Group helps business leaders fully understand what culture really is, how to measure it, and how manage it. The demands and expectations of today’s diverse, multi-generational, mobile workforce require a more flexible, employee-centric work environment. When employees feel empowered and have a sense of ownership for their jobs, their engagement is much higher. We help business leaders build a compelling and meaningful work environment with appropriate “employee listening” systems. Employees at all levels expect dynamic, self-directed, continuous learning opportunities from their employers. ProVeritas Group helps organisations move towards employee-centric continuous learning, and away from internally focused, outdated platforms and static learning approaches that are loosely linked to business outcomes. Interested in Having a High-Impact HR Organisation? Our HR consulting programs are grounded on cutting-edge Coaching Psychology and Work Design Thinking principles and practices from leading universities, business schools and Fortune 100 companies. For the first time in modern corporate history, there is evidence demonstrating how to significantly improve business outcomes through expertly designed HR programs and interventions for today’s corporate landscape. Please view the Our Approach and Investment sections of our website for an overview of our approach to consulting program design. If you are interested in achieving sustained organisational performance and growth, please let us know how we can help by completing the form on the Contact Us page. I completed a one-year Executive Coaching program with Ruby and I credit her with helping me achieve a step-change in my thinking and behaviours. I had many realisations, which continue to impact my professional and personal life, lifting me to greater effectiveness and enjoyment. Ruby has the unique ability to work within the boundaries of the personality of the person she is working with. The return on investment cannot be defined in monetary value. What I gained on both a personal and professional level still leaves me astounded.